The integrity of an aircraft fuel system is critical and should not be compromised. Any evidence of malfunction or leak should be addressed before the aircraft is released for flight. The danger of fire, explosion, or fuel starvation in flight makes it imperative that fuel system irregularities be given top priority. Each manufacturer’s maintenance and operation instructions must be used to guide the technician in maintaining the fuel system in airworthy condition. Follow the manufacturer’s instructions at all times. Component manufacturers and STC holder instructions should be used when applicable. 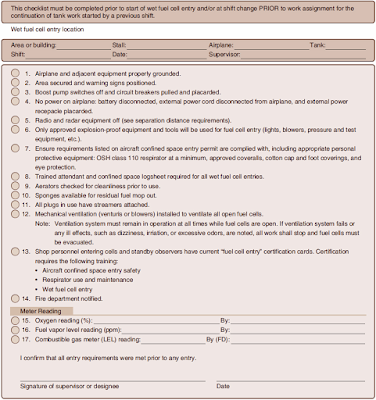 Some general instructions for fuel system maintenance and repair are given in the following sections. Knowledge of the fuel system and how it operates is essential when troubleshooting. Manufacturers produce diagrams and descriptions in their maintenance manuals to aid the technician. Study these for insight. Many manuals have troubleshooting charts or flow diagrams that can be followed. As with all troubleshooting, a logical sequence of steps to narrow the problem to a specific component or location should be followed. Defects within the system can often be located by tracing the fuel flow from the tank through the system to the engine. Each component must be functioning as designed and the cause of the defect symptom must be ruled out sequentially. Close visual inspection is required whenever a leak or defect is suspected in a fuel system. Leaks can often be traced to the connection point of two fuel lines or a fuel line and a component. Occasionally, the component itself may have an internal leak. Fuel leaks also occur in fuel tanks and are discussed below. Leaking fuel produces a mark where it travels. It can also cause a stronger than normal odor. Gasoline may collect enough of its dye for it to be visible or an area clean of dirt may form. Jet fuel is difficult to detect at first, but it has a slow evaporation rate. Dirt and dust eventually settle into it, which makes it more visible. When fuel leaks into an area where the vapors can collect, the leak must be repaired before flight due to the potential for fire or explosion. Repair could be deferred for external leaks that are not in danger of being ignited. However, the source of the leak should be determined and monitored to ensure it does not become worse. Follow the aircraft manufacturer’s instructions on the repair of fuel leaks and the requirements that need to be met for airworthiness. Detailed visual inspection can often reveal a defect. Four basic classifications are used to describe aircraft fuel leaks: stain, seep, heavy seep, and running leak. 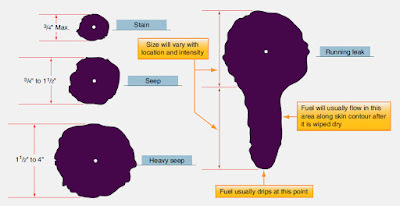 [Figure 1] In 30 minutes, the surface area of the collected fuel from a leak is a certain size. This is used as the classification standard. When the area is less than ¾ inch in diameter, the leak is said to be a stain. From ¾ to 1½ inches in diameter, the leak is classified as a seep. Heavy seeps form an area from 1½ inches to 4 inches in diameter. Running leaks pool and actually drip from the aircraft. 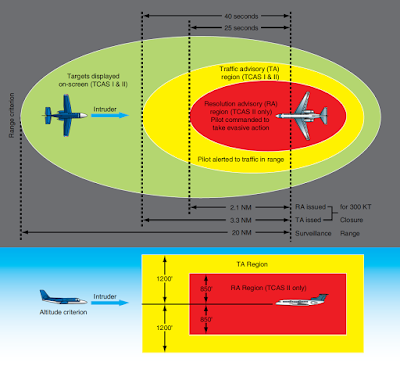 They may follow the contour of the aircraft for a long distance. Figure 1. The surface area of collected fuel from a leak is used to classify the leak into the categories shown. A leak can often be repaired by replacing a gasket or seal. When this occurs or a component is replaced or reassembled after a maintenance operation, a new gasket, seal, or packing must be installed. Do not use the old one(s). Always be sure to use the correct replacement as identified by part number. Also, most gaskets, seals, and packings have a limited shelf life. They should be used only if they are within the service life stamped on the package. Whether rigid removable, bladder-type, or integral, all fuel tanks have the potential to develop leaks. Repair a tank according to the manufacturer’s instructions. Some general notes for repair of each tank type follow. Note that at the time a tank is repaired, a thorough inspection should be made. Corrosion, such as that caused by water and microbes, should be identified and treated at this time, even if it is not the cause of the leak. Rigid removable fuel tanks can be riveted, welded, or soldered together. A leak can develop at any of these types of seams or can be elsewhere on the tank. Generally, the repair must match the construction in technique. Some metal fuel tanks experiencing minor seepage can be repaired with a sloshing procedure. An approved sloshing compound is poured into the tank, and the tank is moved so that the compound coats the entire inner surface area of the tank. Any excess compound is then poured out and the compound in the tank is allowed to cure for a specified amount of time. Minor gaps in the seams of the tank and repairs are filled in this manner. The compound is fuel resistant once dry. Check with the aircraft manufacturer to ensure that sloshing is an airworthy repair for the aircraft fuel tank in question. Welded tank repairs are usually done by welding. These tanks can be constructed from steel or weldable aluminum, such as 3003S or 5052SO. The tank is removed from the aircraft for the repair. It must be treated to remove any fuel vapors that remain in the tank before it is welded. This is critical to avoid serious injury from explosion should the fuel vapor ignite. The manufacturer usually gives a procedure for doing this. Some common methods for purging the tank include steam cleaning, hot water purging, and inert gas purging. Most procedures involve running the steam, water, or gas through the tank for a stated period of time. Adapters may need to be fashioned or purchased for the fill port to enable proper cleaning. Follow the manufacturer’s procedure for the proper time to keep the cleaning medium in the tank and for prepping the tank for welding in general. After a seam or a damaged area is welded, you must clean the tank of any flux or debris that may have fallen into the tank. Water rinsing and acid solutions are commonly used. A leak check to ensure the repair is sound follows a welded repair. This can be done by pressurizing the tank with a specified amount of air pressure and using a soapy solution on all seams and the repaired area. Bubbles form should air escape. The amount of air pressure used for a leak check is very low. One half to 3.5 psi is common. Use an accurate regulator and pressure gauge to prevent overpressurization that could deform or otherwise damage the tank. Tanks ordinarily supported by aircraft structure when installed should be similarly supported or reinstalled in the airframe before pressurization. Riveted tanks are often repaired by riveting. The seams and rivets are coated with a fuel resistant compound when assembled to create a leak-free container. This practice is followed during a patch repair, or when repairing a seam, which may require replacing the rivets in the seam. Some minor leak repairs may only require the application of addition compound. Follow manufacturer’s instructions. The compound used may be heat sensitive and require inert gas purging to prevent degradation from hot water or steam purging. Again, follow all manufacturer guidance to insure a safe airworthy repair. Terneplate aircraft fuel tanks that are assembled by soldering are also repaired by soldering. All patches have a minimum amount that must overlap the damaged area. Flux used in soldering must be removed from the tank after the repair with techniques similar to that used on a welded tank. Follow manufacturer’s instructions. Bladder fuel tanks that develop leaks can also be repaired. Most commonly, they are patched using patch material, adhesive, and methods approved by the manufacturer. As with soldered tanks, the patch has a required overlap of the damaged area. Damage that penetrates completely through the bladder is repaired with an external, as well as internal, patch. Synthetic bladder tanks have a limited service life. At some point, they seep fuel beyond acceptable limits and need to be replaced. Bladder tanks are usually required to remain wetted with fuel at all times to prevent drying and cracking of the bladder material. Storage of bladder tanks without fuel can be accomplished by coating the tanks with a substance to prevent drying, such as clean engine oil that can be flushed from the tank when ready to return to service. Follow all manufacturer’s instructions for the care and repair of these common tanks. It is important to ensure that bladder tanks are correctly secured in place with the proper fasteners when reinstalling them in the aircraft after a repair. Occasionally, an integral tank develops a leak at an access panel. This can often be repaired by transferring fuel to another tank so the panel can be removed and the seal replaced. Use of the proper sealing compound and bolt torque are required. Other integral fuel tank leaks can be more challenging and time consuming to repair. They occur when the sealant used to seal the tank seams loses its integrity. To repair, fuel needs to be transferred or defueled out of the tank. You must enter large tanks on transport category aircraft. Preparing the tank for safe entry requires a series of steps outlined by the aircraft manufacturer. These include drying the tank and venting it of dangerous vapors. The tank is then tested with a combustiblegas indicator to be certain it can be entered safely. Clothing that does not cause static electricity and a respirator is worn. An observer is stationed outside of the tank to assist the technician in the tank. [Figure 2] A continuous flow of ventilating air is made to flow through the tank. A checklist for fuel tank preparation for entry taken from a transport category maintenance manual is shown in Figure 3. The details of the procedures are also given in the manual. Once the location of the leak is determined, the tank sealant is removed and new sealant is applied. Remove old sealant with a nonmetallic scraper. Aluminum wool can be used to remove the final traces of the sealant. After cleaning the area with the recommended solvent, apply new sealant as instructed by the manufacturer. Observe cure time and leak checks as recommended before refilling the tank. Fuel vapor, air, and a source of ignition are the requirements for a fuel fire. Whenever working with fuel or a fuel system component, the technician must be vigilant to prevent these elements from coming together to cause a fire or explosion. A source of ignition is often the most controllable. In addition to removing all sources of ignition from the work area, care must be exercised to guard against static electricity. Static electricity can easily ignite fuel vapor, and its potential for igniting fuel vapor may not be as obvious as a flame or an operating electrical device. The action of fuel flowing through a fuel line can cause a static buildup as can many other situations in which one object moves past another. Always assess the work area and take steps to remove any potential static electricity ignition sources. AVGAS is especially volatile. It vaporizes quickly due to its high vapor pressure and can be ignited very easily. Turbine engine fuel is less volatile but still possesses enormous capacity to ignite. This is especially true if atomized, such as when escaping out of a pressurized fuel hose or in a hot engine compartment on a warm day. Treat all fuels as potential fire hazards in all situations. As was discussed, empty fuel tanks have an extreme potential for ignition or explosion. Although the liquid fuel has been removed, ignitable fuel vapor can remain for a long period of time. Purging the vapor out of any empty fuel tank is an absolute necessity before any repair is initiated. A fire extinguisher should be on hand during fuel system maintenance or whenever fuel is being handled. A fuel fire can be put out with a typical carbon dioxide (CO2) fire extinguisher. Aim the extinguisher nozzle at the base of the flame and spray in a sweeping motion to have the agent fall over the flames to displace the oxygen and smother the fire. Dry chemical fire extinguishers rated for fuel can also be used. These leave behind a residue that requires cleanup that can be extensive and expensive. Do not use a water-type extinguisher. Fuel is lighter than water and could be spread without being extinguished. Additional precautions used to prevent fire are discussed in the fueling–defueling page.